Catholic Charities of the Diocese of Baton Rouge proclaims the gospel vision of Jesus Christ as its mission by serving the needs of individuals and families, especially the poorest, and working with Church and community for justice, peace, and compassion in society. Since 1964, Catholic Charities of the Diocese of Baton Rouge has touched the lives of countless individuals of all faiths . . . maybe your neighbor, a friend, family member or even you. 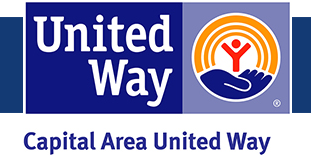 Catholic Charities of the Diocese of Baton Rouge is a member of Capital Area United Way. In 2007, the Catholic Charities network was ranked among the nation’s best and largest nonprofits in the country by the NonProfit Times, The Chronicle of Philanthropy, and Charity Navigator. The Roman Catholic Diocese of Baton Rouge encompasses 5,405 square miles (13,999 sq. km.) in these twelve civil Parishes (counties) in south central Louisiana, USA: Ascension, Assumption, East Baton Rouge, East Feliciana, Iberville, Livingston, Pointe Coupée, St. Helena, St. James, Tangipahoa, West Baton Rouge, and West Feliciana. Visit www.ccdiobr.org to find out more about Catholic Charities of the Diocese of Baton Rouge.